Born in 1939 in France to a Lebanese mother and an Algerian father, Warda rose to stardom at an early age. 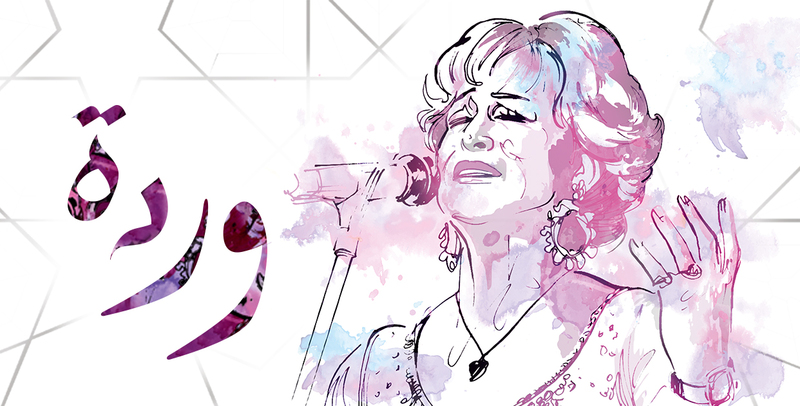 Her powerful voice and strong onstage presence earned her an iconic status throughout the Arab world. Known for her patriotic and Arab nationalist songs, Warda has a long list of collaborations with leading composers and writers including Mohamed Abdel Wahab, Farid Al-Atrash, Sayed Makkawi, Mohamed Al-Mogi, Baligh Hamdi, Ammar Al-Sherei, Helmi Bakr and Farouq Al-Sharnoubi.